Ever wonder what it’s like being an intern at Ellenbogen Creative Media? Over the next several weeks we will introduce you to our five summer interns! Hear about what they do on a daily basis, what they learn, what they hope to get out of their experience and maybe even some tips for future interns! Starting off, summer intern number one: Marie Roser. “Hello! My name is Marie Roser. 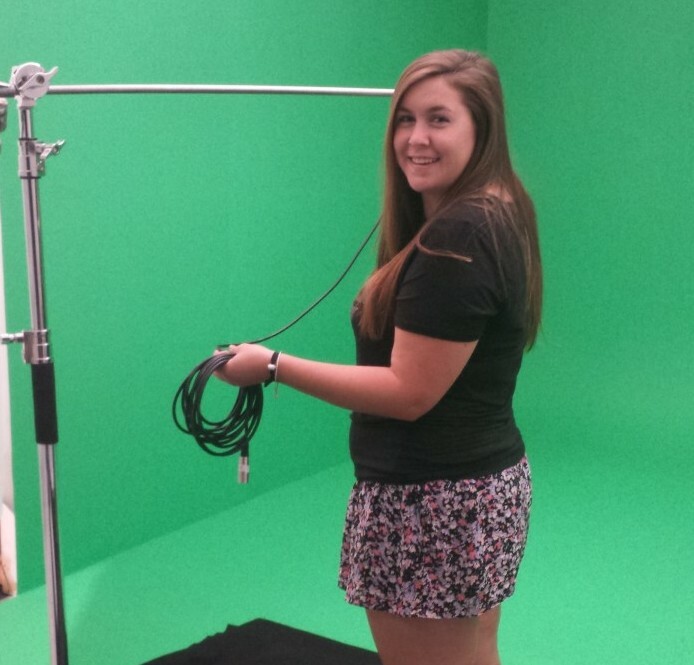 I am a senior at Mercy College majoring in TV & Radio Production. I just finished four years of NCAA Division 2 college sports, participating on both the Field Hockey and Women’s Lacrosse team. I am also the managing editor and sports editor on our college newspaper, The Impact News. Currently I am a new intern here at Ellenbogen Creative Media. Being an intern was a scary thing in and of itself. Especially when you don’t know what exactly to expect. But with everyone being so friendly, it made the transition much easier. Coming into this with an open mind I knew I wanted to learn about things I never really had the chance to experience while in school. Especially with technology that is up to date, unlike what we have at my school. Now I have been here for about 2 weeks. I would say 3 but I went away on vacation in the very beginning. I have been on one shoot and on set for a couple short shoots here in the studio. I’ve learned a lot about camera work, lighting audio, editing and even live multi-camera events. I’ve had hands on experience with so much already. From the setup of different shoots in the office and even in the studio on the green screen, to being the technical director of a live event for Hudson Valley Economic Development Corporation with 3 different camera feeds. Knowing that I have learned so much already, when looking to the future I know that I expect to learn even more. Since I am the least experienced intern with editing, due to the fact that all the editing classes were during my class time, I hope to learn even more about that. I’ve learned things already but I hope to learn even more and even be able to edit some of my own projects. I also hope to get more experience on camera. Shooting in the TV studio at our school with rehearsed scripts is completely different than shooting live unrehearsed, unscripted and uncontrolled environments. Lastly I hope to gain confidence after leaving here. Confidence in what I am doing, what I have learned and what I have chosen to do with my life career.